O, My people! What have I done to thee that thou shouldst testify against me? 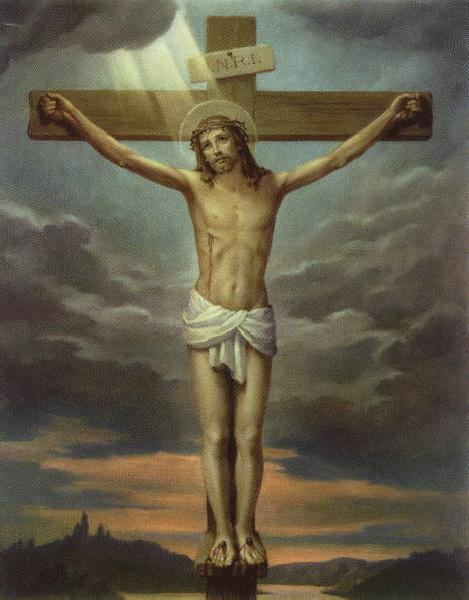 The liturgical observance of this day of Christ's suffering, crucifixion and death evidently has been in existence from the earliest days of the Church. No Mass is celebrated on this day, but the service of Good Friday is called the Mass of the Presanctified because Communion (in the species of bread) which had already been consecrated on Holy Thursday is given to the people . Traditionally, the organ is silent from Holy Thursday until the Alleluia at the Easter Vigil , as are all bells or other instruments, the only music during this period being unaccompanied chant. •Liturgy of the Word - reading of the Passion. •Intercessory prayers for the Church and the entire world, Christian and non-Christian.